In every state, the process of creating a limited liability company, or LLC, requires the person organizing the LLC to designate a registered agent. An LLC registration will not be accepted by the state agency responsible for business association filings if the person organizing the LLC does not designate a registered agent. In all states, an individual or a business may serve as the registered agent of an LLC. The registered agent of an LLC has several obligations. 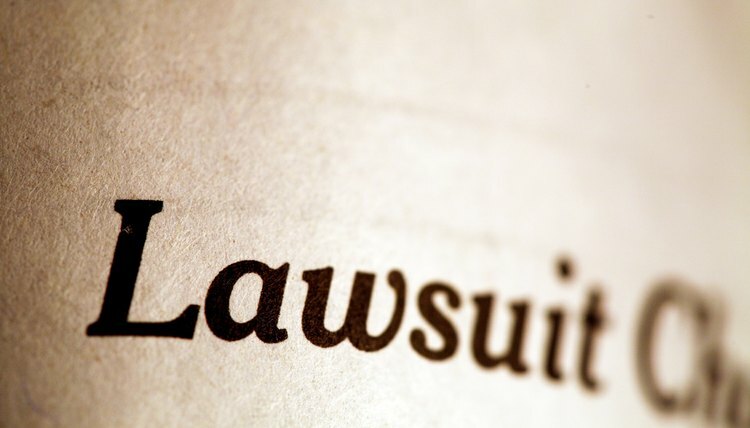 If the LLC is ever sued or subpoenaed, the party designated as the LLC’s registered agent will receive service of process of the lawsuit or subpoena. Most states will also send documents regarding annual requirements to the LLC’s registered agent, such as annual report or franchise tax forms. The registered agent has the duty to receive these documents and forward them on to the LLC. Additionally, the LLC laws of some states require the LLC to keep specific documents on file, such as the LLC’s articles of organization, LLC operating agreement and tax returns for previous years. If the LLC is a foreign LLC, and does not maintain a principal address of business within the state, the registered agent must keep these documents on file. The organizer of an LLC is the individual who submits the registration paperwork with the state agency responsible for business association filings. The LLC laws of all states allow the organizer of an LLC, an owner of an LLC, an LLC manager listed on the articles of organization or general counsel of an LLC to serve as the LLC’s registered agent. However, to serve as the registered agent of an LLC, that individual must maintain a physical address in the state where the LLC is being registered. The LLC registration requirements in all states require individuals who wish to serve as the registered agent for an LLC to provide their name and physical address. An individual serving as a registered agent may not use a post office box address. Furthermore, the information contained within an LLC’s articles of organization is a public record. Serving as the registered agent of an LLC publicly links the identity and home address of a person with a particular business in a public record. If an LLC is a foreign LLC that does not maintain a principal business address in a state, or no owner or manager of an LLC wishes to serve as a registered agent, an LLC can hire a registered agent service. A registered agent service will serve as the registered agent of an LLC for a reasonable fee. A registered agent service may be a more suitable option than having an individual associated with the LLC serve as registered agent if the LLC plans on operating in multiple states. South Carolina Business One Stop: What Is a Registered Agent and Why Do I Need One?